Dom Mintoff in the 1950s. When Dom Mintoff became Prime Minister in 1955, the state of health of the Police Force was not quite as good as it should have been. For this reason, Mintoff invited W.A. Muller, Inspector General of the Colonial Police, to offer his advice on ways of improving the organisation and efficiency of the force. 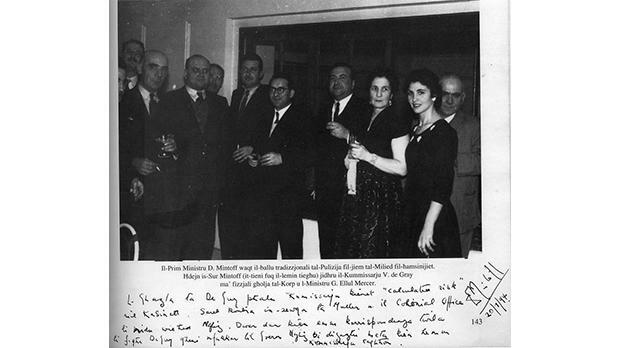 Muller visited Malta from May 9 to 14, 1955, and submitted his report on May 21, 1955, and after going through the report the Prime Minister promised a radical police reorganisation. Meanwhile, after a few months in office, Mintoff made it clear to the British authorities that, although it seemed that the previous government had never dealt with security control, he was not happy that control of the police was vested in the imperial government in cases dealing with Malta’s security. The Prime Minister maintained that, since the ministers were responsible for the control of government departments, they had every right to have full control of the police. The Governor was given two options: either to appoint a separate staff to deal with security cases or to have these cases investigated by the police who would then inform the minister responsible accordingly. The Governor chose the latter option. However, following this agreement the Colonial Office recommended that the Commissioner of Police be appointed by the Colonial Secretary. At that time Commissioner George Cachia headed the Police Department. Vivian De Gray as a police inspector. Some time later the Prime Minister asked the Commissioner to recommend the selection of a new superintendent, demanding a report on the first 10 senior inspectors, which had to be read by Cachia himself to the Prime Minister in the presence of the newly appointed Assistant Commissioner Vivian De Gray and the 10 police inspectors in order of seniority. At that time Mintoff made the Integration with the United Kingdom proposal and he was aware that De Gray was more British than the British themselves. In fact, no disciplinary proceedings were taken against those members of the force who, during the night and in plain clothes, ripped off anti- integration posters. Assistant Commissioner E. Bonnici Soler. Third on the promotion list was Inspector Alfred J. Bencini. 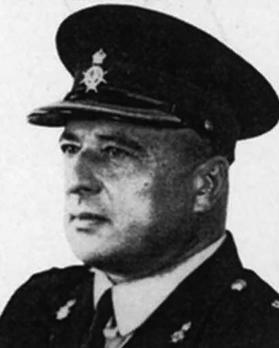 In his regard, Commissioner Cachia reported that, although possessing above-average qualities he was seeking popularity among the lower ranks to the detriment of discipline. 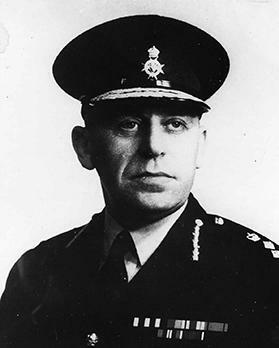 Thus the Commissioner recommended that Bencini had to wait his turn for promotion and Inspector Edward Attard was promoted superintendent. Inspector (later Commissioner) Bencini objected to this remark and protested to Mintoff who called for an inquiry. When Commissioner Cachia became aware of the inquiry, he asked to retire on pension and his request was accepted. Cachia had served for 29 years in the force, and only six-and-a-half months as commissioner. After Cachia’s resignation, De Gray served as Acting Commissioner and John Xuereb as Deputy Commissioner. Then on June 1, 1956, De Gray became commissioner, an appointment Mintoff described as a calculated risk by the Cabinet as he was aware that De Gray was a man of character. Vivian Charles Byers De Gray was born in Portsmouth on January 30, 1912. His father Charles was a gunner in the Royal Artillery and his mother, Elizabeth Richardson, was born in Żebbuġ, Malta. The De Grays moved to Malta in 1917 and Vivian was first sent to Flores College. He later attended the British Garrison School and the Lyceum. He started his working career as a civilian shorthand clerk with the Royal Army Ordinance Corps (ROAC) and later transferred to the Services Intelligence Office in Bighi. 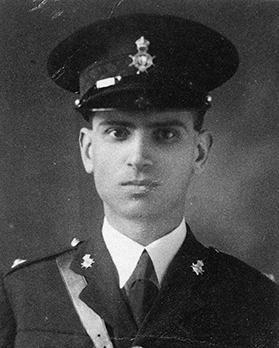 He joined the Police Force as a sub-inspector in 1934 after an open competitive examination, and in 1946 he was promoted to the rank of superintendent. In this rank he served as adjutant to three consecutive police commissioners. De Gray’s first meeting with Mintoff was in November 1948 when the latter sued J. Olivieri Munro, editor of the newspaper The Nation, for libel. Superintendent De Gray was the prosecuting officer, and at that time Mintoff was Minister of Public Works and Reconstruction. 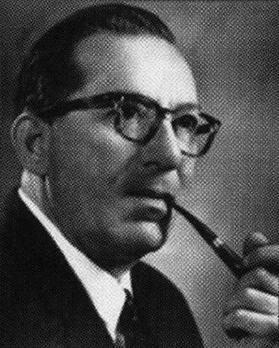 However, in May 1950, Superintendent De Gray was the prosecuting officer in a libel case against Mintoff when the latter was accused of defaming Prime Minister Paul Boffa. In 1955, Mintoff was quick to recognise De Gray’s abilities; in fact, soon after the Colonial Office proposed setting up an independent commission to determine the ultimate responsibility of the force, Mintoff asked the Commissioner’s views on the matter. In his booklet Malta Ittraduta – Tiranni u Lembubi (‘Malta Betrayed – Tyrants and Truncheons’), published some years later, Mintoff wrote that some details in the memorandum written by De Gray were toned down before being forwarded to the Colonial Office. Following the report, the Colonial Secretary no longer opposed the appointment of the Police Commissioner. Once more, Mintoff won the dispute with the Colonial Office and thus De Gray’s post as Commissioner was assured. The police reorganisation promised by the Prime Minister started in July 1955 when the government granted pay increases to all members of the force. Moreover, an eight-hour tour of duty was introduced instead of one of 12 hours. However, those joining the force had to undergo a written examination. A Police Association was set up for the purpose of enabling inspectors and other ranks to bring to the notice of the police authorities all matters (except discipline and individual promotions) affecting their welfare and efficiency. The setting up of the association was first mentioned in the 1950 Malta Labour Party electoral programme and subsequently in the 1953 and 1955 MLP manifestos. Meanwhile Commissioner De Gray began implementing Muller’s recommendations. Police officers began attending crime detection courses in the UK and a photographic laboratory was set up at police headquarters. Radio communications in mobile units were introduced, and eventually the Police Dog Section was set up as part of the Criminal Investigation Department. De Gray also introduced proper management and, above all, he instilled discipline. De Gray’s good relationship with the Prime Minister turned sour after April 1958 when Mintoff’s government was involved in various disputes with the British authorities, and anti-British demonstrations were held in Valletta. During the first demonstration held on April 7 the police guarded Castille Place (then the British military headquarters), the North Atlantic Treaty Organisation headquarters in Floria­na, Admiralty House in South Street, Valletta, and other places. No serious incidents were reported during the first demonstrations; however, Governor Robert Laycock wrote to the Prime Minister and asked whether the police had arrested anyone as he had information that innocent bystanders had been attached. The Governor also inquired about precautions during future demonstrations. Finally, the Governor asked the Prime Minister’s advice whether to prohibit the public meetings and demonstrations in Valletta and Floriana. Mintoff was reluctant to prohibit these demonstrations and when he met the Governor at San Anton Palace he told him he was not prepared to give him such advice. More demonstrations were held after Carnival, and on April 21 the Prime Minister an­nounced he was resigning. Although no incidents were reported, police reinforcements were continually on the move with the demonstrators. The following day, during another demonstration in Valletta, stones and chairs were hurled at the statue of Queen Victoria. At Castille Place the crowd threw stones at the Vernon Club (the servicemen’s club) breaking some window panes. A police motorcyclist was thrown off his vehicle and the police charged the crowd down Duke of York (now Ġilormu Cassar) Avenue as far as the War Memorial. Stones were thrown at some shops and although no damage was caused, several shops in Valletta closed earlier than usual. The first major clash between police and demonstrators took place on April 23 at Kingsgate where the police used batons against protestors when stones and other objects were thrown. Another more serious clash took place in Merchants Street (near the post office) when the demonstrators were heading to­wards Castille Place. Here the police prepared fire hydrants for any eventuality but did not use them. In Merchants Street the mounted police intervened followed by a baton charge. These charges were spontaneous and not ordered by the police commissioner. In fact, at that time De Gray was not in the area. It was said that the senior officer in charge of police reinforcements on the spot, namely Assistant Commissioner Edward Bonnici Soler, only ordered the mounted police to move in and clear the street. After this clash a number of people were injured and some of them had been taken to hospital. Police Commissioner Vivian De Gray. At about 9.15pm, when Mintoff be­came aware of these police charges, he tried to contact the Commissioner at police headquarters but De Gray was not available. So Mintoff in­struc­ted the duty officer, Inspector John Mifsud, to immediately withdraw the mounted police from Valletta and to stop baton charges against demonstrators. When De Gray became aware of Mintoff’s orders, he contacted the Governor who directed him to disregard them. Later Mintoff tried again to contact the Commissioner, but he could not get through, and he proceeded to suspended from duty the officer in charge of the mounted police, Inspector William Abela, and the duty officer at police headquarters. De Gray telephoned Mintoff just after midnight when the former returned home. 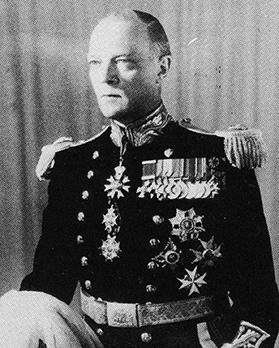 According to Mintoff, he asked De Gray to justify his refusal to obey his orders and De Gray replied that he would not serve him but only the Crown. De Gray gave his version of what was said during this heated conversation and what happened on the night of April 23, 1958, when he testified in a libel suit 10 years later (D. Mintoff vs Fr. F.X. Bianco). De Gray testified that when, on April 23, he was in the palace courtyard, he had met Colonel Victor Vella, secretary to the imperial government, who asked what was happening in the Valletta demonstrations, and the Commissioner informed Vella of Mintoff’s directions. Later, De Gray was told by Charles Williams, legal secretary of the Maltese imperial government, to go to San Anton Palace to meet Governor Laycock. According to De Gray’s evidence, during his meeting with the Governor, the latter asked him whether he could guarantee public safety without using the mounted police and truncheons. De Gray answered in the negative, so the Governor instructed him to retain the mounted police and to use truncheons at his (the Commissioner’s) discretion. Laycock further added that he was informing Mintoff about the decision which he had taken in accordance with the Malta Emergency Powers of December 12, 1953. The next morning, during a Cabinet meeting, it was unanimously decided to ask the Governor to remove De Gray from office. This was announced during a Redifussion (cable radio) broadcast and by a press release issued from the Office of the Prime Minister. In this last government pronouncement it was said that De Gray had been removed from office according to the police ordinance that provided for the removal of police officials for various inadequacies, such as inefficiency, irregularity, or misconduct. Mintoff even went on to say that the Governor’s signature for De Gray’s removal was expected with an hour. De Gray, however, was now enjoying the Governor’s backing and it was unlikely that Laycock would agree to his dismissal. In fact, in a written communication dated April 23, the Governor informed Mintoff that he had countermanded his (Mintoff’s) orders on the use of mounted police and baton charges. The Governor also informed Mintoff that the two suspended police inspectors had been reinstated. According to the Governor, these decisions had been taken to ensure public safety. In this letter there was no reference to De Gray’s removal. In his reply to the Governor, Mintoff insisted that he was still the minister responsible for the police as his resignation had not been accepted. He also stated that the manner in which the Governor had acted was unconstitutional. A copy of this letter was sent to the Queen. 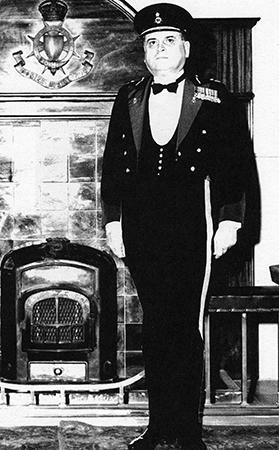 On April 24, 1958, the Governor accepted the Labour government’s resignation once the ministers were unable to give him an assurance on law and order, and he took over the administration of the islands. A press release on Redifussion explained that the Governor had rejected the recommendation of the former ministers and that the Police Commissioner was to continue in office. After Mintoff’s broadcast, the Governor also delivered a message to the people of Malta. After referring to the disturbances of April 23, he said that, had Mintoff’s orders to the Police Commissioner been carried out, the police would have found it very difficult to do their duty as they would have been at a grave disadvantage. The Governor said he had refused to give his approval for De Gray’s dismissal. He also assured the people that he was taking the necessary precautions for the maintenance of law and order.